Most of us do work while on the move, and in such situations an ultra light laptop with good battery output is what we require the most. 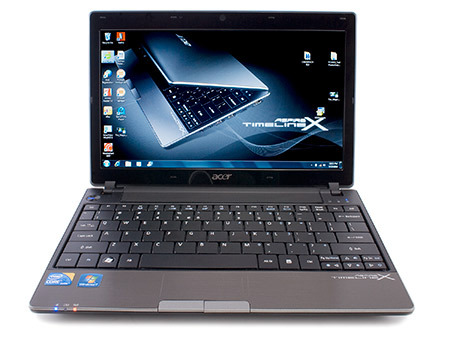 The Acer Aspire Timeline series 1830T-3721 is one the ultra portable laptops with a whooping 6 hour battery life and under thousand dollar range, is one the hot favorites for those who normally work out of office. 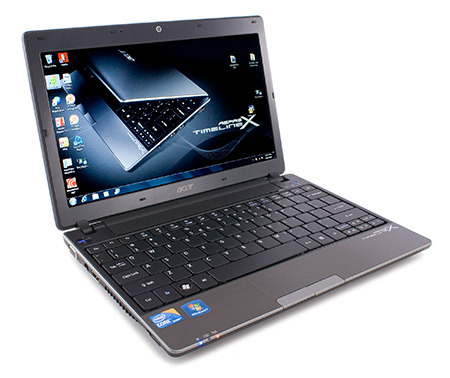 The Acer TimelineX 1830T is our top pick among subnotebooks. It doesn't compromise power or battery life and it has a good set of ports that outnumber the competition. We're impressed with the specs on the 1830T, and they beat out the competition in features vs. price. It significantly outperforms Acer's own Ferrari One, has a faster CPU and more features than Lenovo's IdeaPad U160, a faster CPU and more ports than the MacBook Air (though it lacks the Air's dedicated graphics), and more horsepower and longer battery life than the Lenovo IdeaPad U260. 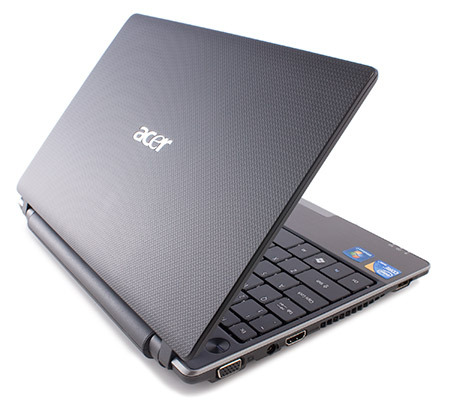 Bluetooth 3.0 is standard, the laptop has HDMI and a classy looking chassis with good build quality. Geeks and tinkerers will appreciate the easy access to internals for hard drive swaps and wireless upgrades. If you're looking for a 3 lb. notebook that fits in the smallest of spaces and don't intend to do serious 3D gaming with current titles, the Acer should measure up. The 11-inch laptop space got a little more interesting when the Apple MacBook Air (11-inch) ($1,199 direct, 3.5 stars) made its entrance, but that doesn't make it the best Consumer Ultra Low Voltage (CULV) laptop for your money. Though it isn't nearly as beautifully designed or as wafer-thin as the MacBook Air, the Acer Aspire AS1830T-68U118 ($900 street) is one of the most powerful laptops in the CULV category. The processor has since been updated to a 1.46GHz Intel Core i7-680um, yet the battery lasted well into the 8 hour range. It's a lot pricier than a netbook, but convincingly cheaper than the MacBook Air. 680UM: Der Core i7-680UM ist ein sehr sparsamer Ultra Low Voltage Prozessor der sich auf bis zu 2.53 GHz übertakten kann (Turbo Boost). Dank Hyperthreading werden bis zu 4 Threads gleichzeitig bearbeitet. Im Package ist auch noch eine integrierte Grafikkarte (GMA HD mit 166-500 MHz) und ein Speichercontroller (beide noch 45nm Fertigung) für DDR3 800.» Weitere Infos gibt es in unserem Prozessorvergleich Vergleich mobiler Prozessoren und der Prozessoren Benchmarkliste .